Colonialism is the establishment, maintenance, acquisition, and expansion of colonies in one territory by people from another territory. The colonial period ranges from the 1450s to the 1970s, beginning when several European powers (Spain, Portugal, Britain, and France especially) established colonies in Asia, Africa, and the Americas. Decolonization took place after the First and Second World Wars as former colonies established independence from colonial powers. Neocolonialism refers to the unequal economic and power relations that currently exist between former colonies and former colonizing nations. Marx viewed colonialism as part of the global capitalist system, which has led to exploitation, social change, and uneven development. Dependency theory argues that countries have developed at an uneven rate because wealthy countries have exploited poor countries in the past through colonialism and today through foreign debt and trade. World-systems theory splits the world economic system into core, peripheral, and semi-peripheral countries. decolonization: The freeing of a colony or territory from dependent status by granting it sovereignty. Age of Discovery: A period in history starting in the early 15th century and continuing into the early 17th century during which Europeans engaged in intensive exploration of the world, establishing direct contact with Africa, the Americas, Asia, and Oceania and mapping the planet. Scramble for Africa: A process of invasion, occupation, colonization and annexation of African territory by European powers during the New Imperialism period, between 1881 and World War I in 1914. Colonialism is the establishment, maintenance, acquisition, and expansion of colonies in one territory, imposed by people from another territory. It is a process whereby the metropole, or parent state, claims sovereignty over the colony, and the social structure, government, and economy of the colony are changed by colonizers from the metropole. Colonialism is a set of unequal relationships between the metropole and the colony, and between the colonists and the indigenous, or native, population. Modern colonialism started with the Age of Discovery, during which Portugal and Spain discovered new lands across the oceans (including the Americas and Atlantic/South Pacific islands) and built trading posts. According to some scholars, building these colonies across oceans differentiates colonialism from other types of expansionism. These new lands were first divided between the Portuguese Empire and Spanish Empire, though the British, French, and Dutch soon acquired vast territory as well. The 17th century saw the creation of the French colonial empire, the Dutch Empire, and the English colonial empire, which later became the British Empire. It also saw the establishment of some Swedish overseas colonies and a Danish colonial empire. The spread of colonial empires diminished in the late 18th and early 19th centuries, largely due to the American Revolutionary War and Latin American wars for independence. However, many new colonies were established after this period, including the German colonial empire and Belgian colonial empire. In the late 19th century, many European powers were involved in the so-called Scramble for Africa, in which many African colonies were established. After the First World War, the victorious allies divided up the German colonial empire and much of the Ottoman Empire according to League of Nations mandates. These territories were divided into three classes based on how quickly they would be ready for independence. Decolonization outside the Americas lagged until after World War II. In ideal cases, decolonized colonies were granted sovereignty, or the right to self-govern, becoming independent countries. The term “neocolonialism” has been used to refer to a variety of contexts since the decolonization that took place after World War II. Generally, it does not refer to any type of direct colonization, but colonialism by other means. Specifically, neocolonialism refers to the theory that former or existing economic relationships—the General Agreement on Tariffs and Trade (GATT) and the Central American Free Trade Agreement—are used to maintain control of former colonies after formal independence was achieved. In broader usage, neocolonialism may simply refer to the involvement of powerful countries in the affairs of less powerful countries; this is especially relevant in modern Latin America. In this sense, neocolonialism implies a form of economic imperialism. One approach sociologists take to colonialism and neocolonialism is a Marxist perspective. Marx viewed colonialism as part of the global capitalist system, which has led to exploitation, social change, and uneven development. He argued that it was destructive and produced dependency. According to some Marxist historians, in all of the colonial countries ruled by Western European countries, indigenous people were robbed of health and opportunities. From a Marxist perspective, colonies are considered vis-à-vis modes of production. The search for raw materials and new investment opportunities is the result of inter-capitalist rivalry for capital accumulation. Dependency theory builds upon Marxist thought, blaming colonialism and neocolonialism for poverty within the world system. This theory argues that countries have developed at an uneven rate because wealthy countries have exploited poor countries in the past and today through foreign debt and foreign trade. The world-systems theory suggests that the aftermath of colonialism and the continuing practice of neocolonialism produces unequal economic relations within the world system. Sociologist Immanuel Wallerstein elaborated on these forms of economic inequality. In this theory, the world economic system is divided into a hierarchy of three types of countries: core, semiperipheral, and peripheral. Core countries (e.g., U.S., Japan, Germany) are dominant capitalist countries characterized by high levels of industrialization and urbanization. Peripheral countries (e.g., most African countries and low income countries in South America) are dependent on core countries for capital, and have very little industrialization and urbanization. Peripheral countries are usually agrarian and have low literacy rates and lack Internet connection in many areas. Semiperipheral countries (e.g., South Korea, Taiwan, Mexico, Brazil, India, Nigeria, South Africa) are less developed than core nations but are more developed than peripheral nations. 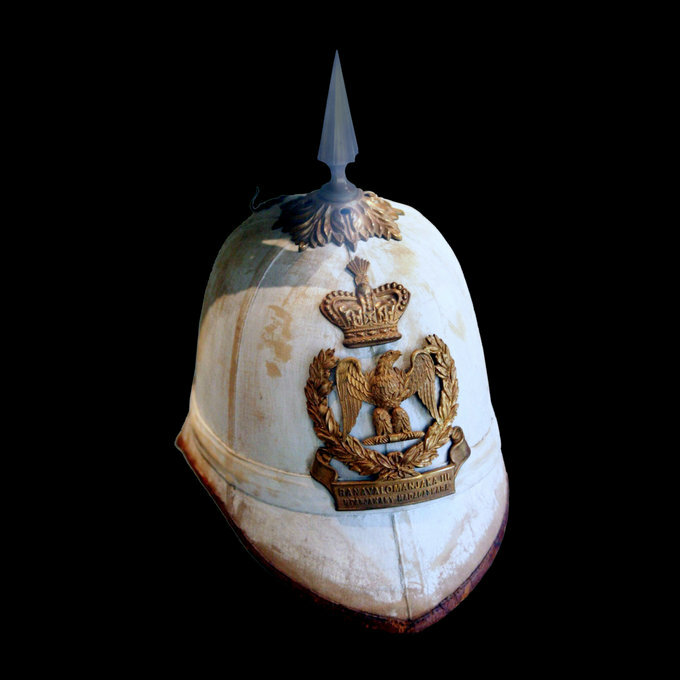 French Pith Helmet: The pith helmet is a symbol of French colonialism in tropical regions, as it was worn by colonial officers.